Wool market stronger ….. or is it? Home > Sheep > Wool market stronger ….. or is it? 02 Mar Wool market stronger ….. or is it? Across the board the Australian wool market Micron Price Guides (MPG’s) were all quoted higher, the only exception on the AWEX Wool Market Report was the Cardings indicators. The MPG Indicators however failed to provide the whole picture; underneath the headline report is a more complex story. The most significant factor in this week’s market was the Au$; by the end of the week it was quoted down US$0.013, sitting below US$0.78 for the first time in 2018. As a consequence, the Eastern Market Indicator (EMI) rallied by $0.08 for the week to close at 1820¢. This picked up all the fall of last week. As well, the Western Market Indicator (WMI) improved 16 cents to finish at 1895 cents. 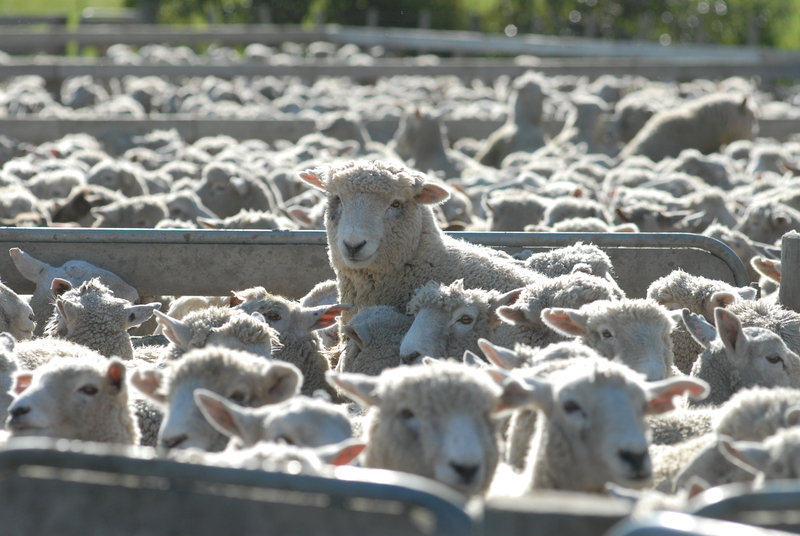 To complete the currency story and its influence on this week’s market, the EMI in US$ terms fell 17 cents, this meant a cheaper week on week for buyers, and better prices for wool sellers thanks to an easing Au$. There is another underlying story, at this time of the year there is more “faulty” wool on offer. Lots with higher VM have been steadily increasing, which results in these types receiving erratic competition. There is another side to this story, and that is that FNF types (wool with less than 1% VM), are increasingly difficult for buyers to source and at times extreme prices are bid for particular lots. The issue of quality has also permeated into the X Bred section of the market. In the past couple of years, it has been the trend to spend less time preparing X Bred wool in the wool shed, with some producers electing to either not skirt or minimal skirt in their wool preparation. When the market is buoyant or under tight supply this preparation model has little impact on prices, however, when the demand softens or supply increases (both currently the situation with X Bred wool), buyers can overlook less prepared types. This is the case now. Buyers can fil orders with “traditionally” prepared wool; poorly prepared lots are then used as bargain buys to cheapen orders. Of the 41,815 bales originally offered, 39,429 sold with a Pass-in rate of 5.4% or just 2,240 bales. Sales are scheduled for all three centres next week on Wednesday & Thursday. A total of 44,506 bales are rostered for next week, slightly more than this week’s offering; the roster drops away over the following 2 weeks with 41,500 and 39,100 anticipated.